Investing your IRA in bitcoin is very appealing. Bitcoin returned over 1,000% in 2017, the likes of which are unprecedented for a stock market index like the S&P 500, or a portfolio of stocks and bonds. People who are trying to make more money are moving into virtual currency every day, and getting handsomely rewarded. A bitcoin IRA is easy to set up, and you can put in an unlimited amount of money without tax implications as long as it is coming from an existing retirement account. Here is some information about setting up a bitcoin IRA, and how we can help. As long as it is allowed by your plan, you can roll money over from any retirement account without incurring any taxes. Money doesn’t necessarily need to come from an existing IRA account, but it can. Other accounts such as a 401(k), 403(b), or 457 plan can also be used to purchase bitcoins in the IRA. There are many IRS laws regarding account rollovers, and while we always recommend that you check with a tax professional, our advisors can help you determine if your money is eligible for a rollover without incurring a tax liability. You may also want to start a new IRA, and this is allowed as well. You can contribute up to $5,500 per year to your IRA, or $6,500 if you are over age 50. We can set you up so that every year you choose, you can purchase bitcoin (or other altcoins) in whatever dollar amount up to the maximum that you desire. You are not bound by any limits when you open a bitcoin IRA. Even if you have $50,000,000 or more in a retirement account, IRS rules allow you to roll the entire amount into the bitcoin IRA, or any IRA when permissible. If you want to purchase bitcoin or other altcoins outside of your retirement funds, we can help you set up a nonqualified investment account too. If you are tired with small transaction limits at other brokerages, free yourself from limits today by setting up an account with us. Fill out the account application paperwork. – We keep it as minimal as possible but laws do require us to to maintain proper records. Roll over money from your existing retirement account.- You can use an existing IRA, 401(k), or other retirement account. Roll over part or all of the account into your account with Gramercy. Make your bitcoin purchase.- When you are ready you will work with our investment advisors to make your purchase into bitcoin, ethereum, ripple, litecoin, or whatever crytocurrency or mix of currency you choose. Our advisor will walk you through every part of every step, so you can leave the thinking to us. No hassles, no complicated procedures. We make sure that you have a pleasant experience because customer service is our number one goal. Bitcoin has surged from an obscure currency used by developers and a few corners of the internet to one of the most popular investments. During this time it went from fractions of a penny in price per bitcoin to over $19,000, in just a few years! A $10,000 investment at the beginning of 2017 would have been worth about $180,000 at the end of the year. The total amount of bitcoins that will ever exist is limited to about 21,000,000. As demand grows, the supply of bitcoins over time will become more and more scarce, driving the price up even further. Unlike currency, which governments can create more of out of thin air, bitcoin must be mined. As more and more bitcoins are mined, it gets harder and harder to mine them and it takes drastically more computing power. At the beginning of 2018 it is estimated that there are less than 5 million bitcoins left to be uncovered. This means that future dilution will be very limited and eventually capped. In simple terms, bitcoin is meant to hold its value. Not everyone realizes that even shares of a stock can be diluted when a company decides to issue more shares. There is not a maximum to the amount of shares allowed to be issued, and the number of outstanding shares goes up and up over time. This means that even if a company becomes more valuable, the increased amount of outstanding shares will provide constant headwinds to the price rising faster. Board of directors of big companies routinely vote to increase shares every year, which they sell to fund company operations, or give away to reward themselves and other top executives at the company. If your current retirement account is eligible for a roll over, you can typically move the money into a bitcoin IRA without incurring any taxes. You normally won’t pay any taxes on the money until it is withdrawn outside of the IRA. By completing a qualified roll over, you get to invest the whole amount without paying a percentage to taxes and tax penalties (if you are under age 59.5). When you invest more money, the power of compound interest means this money will grow exponentially. In other words if you are getting a positive rate of return, you are better off in the long run by investing a higher amount in the beginning, and paying taxes when you withdraw the money (assuming tax law stays the same). Our investment professionals can help walk you through what is eligible for a tax free roll over, and what isn’t. If you have further questions we also encourage you to check with an accountant on any tax issues. Very few companies are able to offer bitcoins held in a qualified retirement account, and we are one. By being on the cutting edge of investments, we can help our clients choose the investment products they want, without being bound to what big Wall Street Brokerages push them towards. As an expert in gold and bitcoin IRA accounts, we can help guide you through the account setup very easily. The best part is it is completely legal, and we are compliant with IRS regulations on self directed individual retirement accounts that hold bitcoin and other cryptocurrency. There is an excellent article from Forbes that details how bitcoin is not prohibited by the internal revenue service. Keep in mind some important points. There is no such thing as a “bitcoin IRA” from the standpoint of the IRS as an official classification. It is a self directed IRA, in which you choose to own bitcoins. The IRS does not “approve” any investments. They simply allow or prohibit. Never listen to a phony company advertising that they have an IRS approved investment. The IRS provided guidance in 2014 on virtual currency. 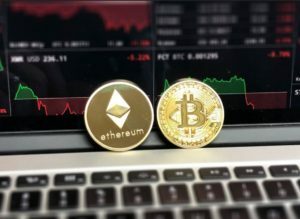 This guidance classified cryptocurrency including bitcoin and other virtual currencies in such a way that it is legal to own them in an IRA. No one can guarantee against loss. Bitcoin is volatile and the market is controlled by supply and demand. You are responsible for your investment choices. Bitcoin is a decentralized asset, meaning it is not backed by a government or provided consumer protection from financial institutions. If you are interested in getting started with a bitcoin IRA, contact us today. Our investment professionals are standing by to guide you on your path to financial freedom.